Over time it is likely that the drain lines will become clogged, which will result in water overflowing the condensate pan and onto the floor. This is a standard maintenance item and will not be covered under warranty. 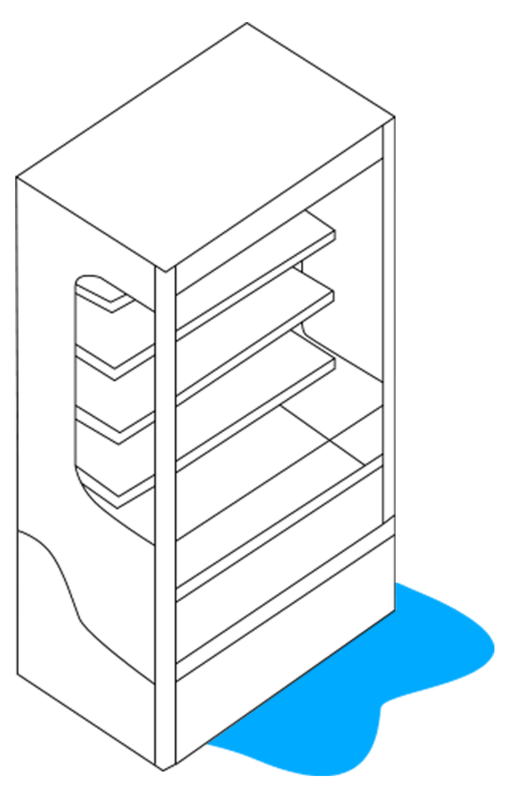 The drain lines can be accessed by removing the bottom panel from inside the unit. Obstructions can be removed either by compressed air or nitrogen or physically removing the obstruction with a drain cleaner. DO NOT use a chemical drain cleaner, as this will void the warranty and possibly damage the unit.